ICED EARTH played their final show with singer Matt Barlow on August 6th at this year's Wacken Open Air festival in Germany. "Just wanted to clear something up. The song 'End Of Innocence' on the Dystopia album was written and named way way way before I ever knew that SYMPHONY X had the same name song on their new album. I have the pro-tools stamped dates to verify it was written before any press release that Symphony X had released. When I found out they had a song called the same thing I WAS going to change it... but the song is about my Mom who currently is battling cancer and I really truly couldn't change it because of the depth of it." Dystopia is scheduled for release in Europe on October 17th, and in North America on October 18th, both via Century Media. Two bonus tracks are also being recorded for inclusion on special editions of the album. Although Dystopia, Iced Earth's 10th studio offering, is not a concept album, founder Jon Schaffer admits there are unifying themes to several of the songs – and even an appearance by band mascot, Set Abominae. 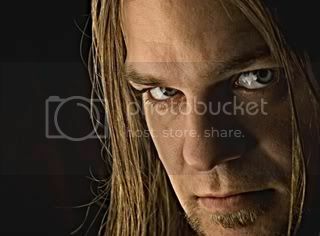 In much the same way Horror Show (Iced Earth’s tribute to classic characters from literature and movies) was born, Schaffer said his interest in dystopian themes in music and movies led him to try his hand at that genre as well – even paying homage on the new album to the movies Dark City, V For Vendetta, and Soylent Green. The end result is Iced Earth meets the nightmarish offspring of Brave New World and Blade Runner. Of special interest to long-time fans are two songs on Dystopia (the title track and 'Tragedy And Triumph') that feature the return of the Something Wicked storyline and 'Set Abominae' – who, when last seen in The Crucible of Man , had taken his position as ruler of the world. 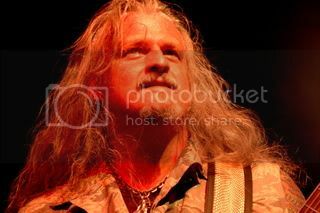 Schaffer admits the recording of Dystopia has been especially challenging because of the band’s summer festival gigs requiring him to criss-cross the ocean numerous times. 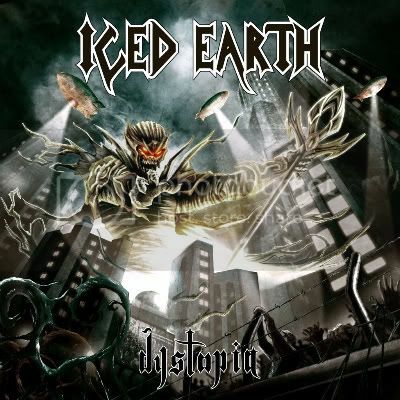 The release of Dystopia will be followed by the most extensive world tour Iced Earth has ever undertaken. The band recently announced their upcoming European tour for the end of 2011.